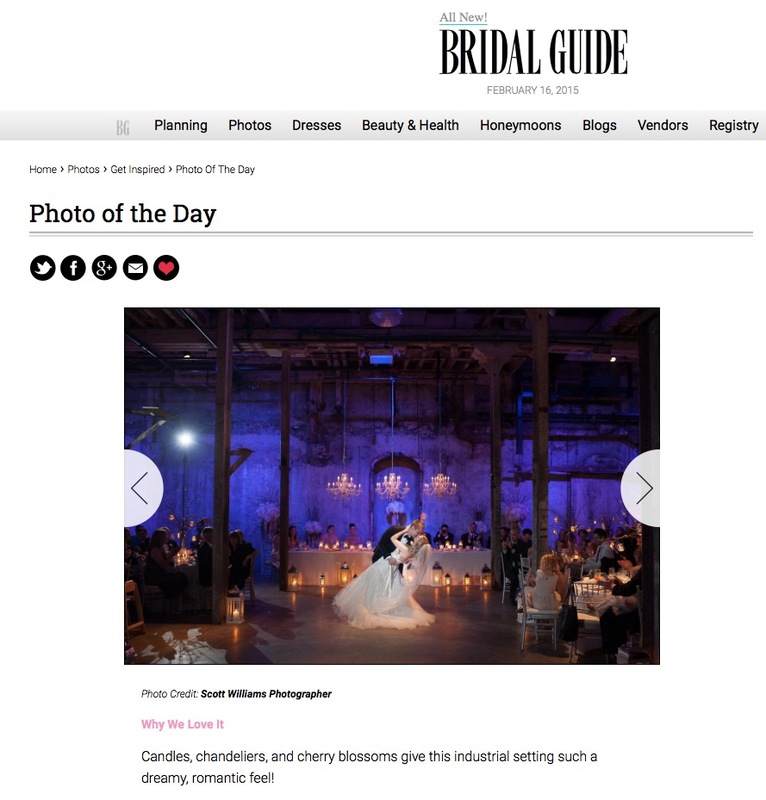 Was thrilled to see one of my wedding photographs was featured on the BridalGuide.com website as their wedding 'Photo of the Day'. It's a great shot from Renee + Ian's wedding this spring at the Fermenting Cellar in Toronto's Distillery District just as they finished their first dance at the reception. Follow the link to see more of their Fermenting Cellar wedding on my blog!